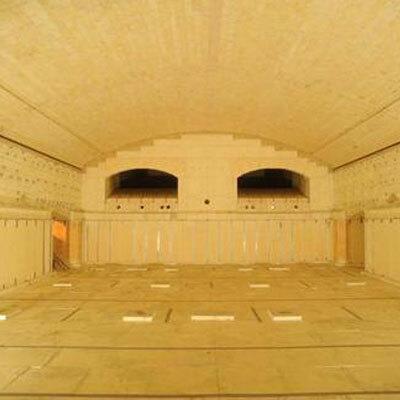 Glass Kiln is used for heating a single layer from the top and has a huge demand in the domain. Meta Therm Furnace Pvt. Ltd is one of the well-known Glass Kiln Manufacturers in Mumbai that is indulged in providing a high-quality range designed as per the need of the customers. We are known in the domain for using advanced production techniques. Our products are exceptionally great to be used in different processes. Offered Electric Glass Kiln is ideal to be used for applications including slumping, firing, annealing, etc. Maintain the temperature and distribute the heat wisely. Used in different applications and have a great demand in the industry. Helps to heat the kiln from the top and offer superb strength. Their operation is very simple and requires very low maintenance. You can pick the ideal design or model you needed for your application from our product range and even ask for any particular customizations if needed. Being one of the dedicated Glass Annealing Kiln Exporters and Suppliers in India, we make sure to offer you the best Glass Melting Kiln at the competitive market prices that would fit your budget.